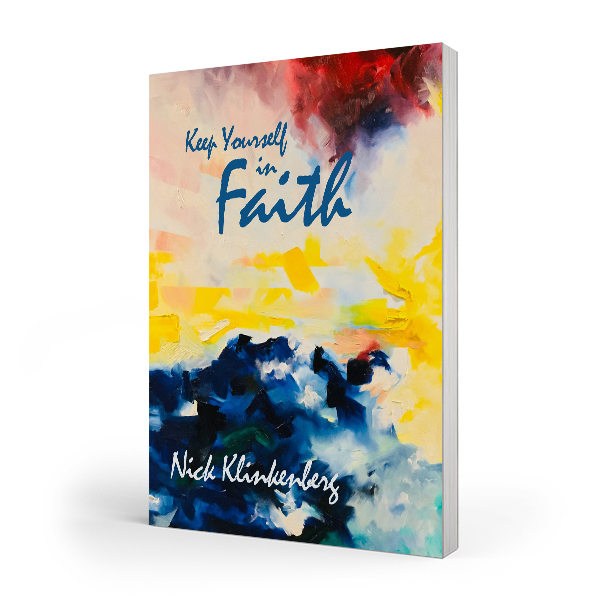 “Keep yourself in faith.” I like that phrase, I find it really helpful and that's why I chose it as the title for this book, For it’s not that I need more faith or that I don’t have enough faith. In fact, if you’re a follower of Christ, you have all the faith you need to take the next step to wherever, however Jesus leads. My challenge is to keep myself in faith. 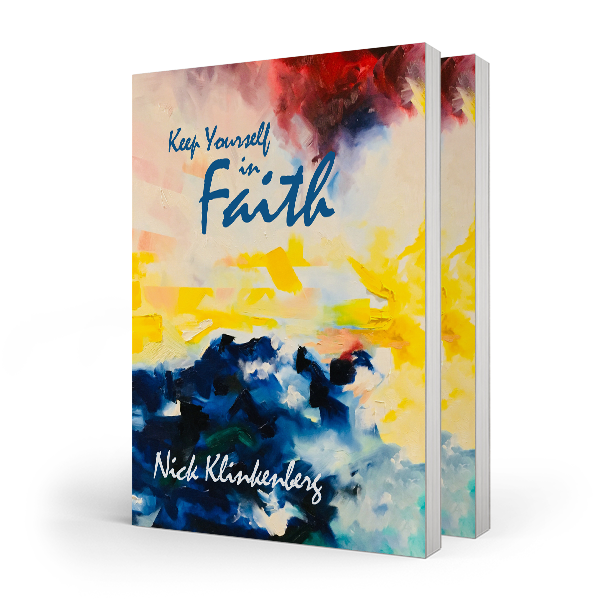 It's the thoughts that I have had around this topic, the stories of my faith experiences and the scriptures found in the bible which I have included in this book. 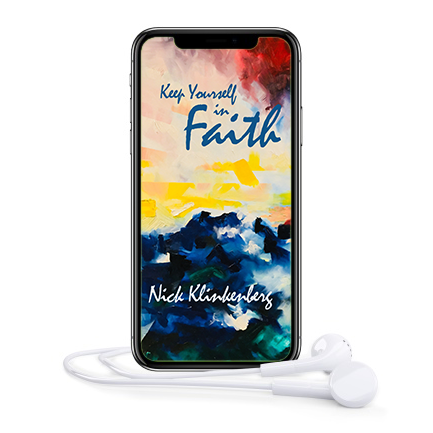 Also I have decided to include with this book a recording of myself reading all of these faith scriptures with every book; backed by music on CD, USB or to download, so you can listen to these as you drive or throughout your day. Buy your copy with audio recordings for $20 NZD + shipping. But as a book release special I have made the purchase of two books, both with audio for only $30 NZD + shipping so you can buy one for yourself and another to share with a friend or family member. To purchase your copy click here or check out the books listed below. Anthony Delaney, Leader of Ivy Churches in Manchester and NewThing Europe. David Dishroon, Co-Senior Pastor, Changepoint, Tauranga NZ. Josh Klinkenberg, Producer, Speaker, Author, Worship Leader, InFlame Ministries NZ. Peter Finch, Pastor - Church Planter – Dublin, Ireland. Next week Karen and I leave for South Africa for a holiday with some of our family. We’ve never been there before so we know it will be quite an adventure! Then it’s off to Europe, Amsterdam and Terneuzen. People often say: “It’s great to see you, but where’s Karen?” So, it’s great to have her travelling with me this time. There are now 7 churches in the network, and I am believing by the end of 2018 for another 2-4 churches that have either just begun or have decided to join us. Please pray for this. ‍A meeting in Terneuzen from my last trip. We have a VCI all-in-day in Terneuzen in mid-June. These times are always fruitful and a joy to be in. We will be there for the final weekend of the first year of CPTC (Church Planting Training Centre) www.cptc.nl There are 15 students. The team will meet with each student to see where they are at with their plans and church planting dreams. It’s a 2-year internship course, & they graduate when they are involved in a new community of faith. Karen & I will be visiting at least 4 churches during this time, and meeting new contacts. We both arrive back at the end of June. TAX RECEIPTS: For those who have given and haven’t received your tax receipt please email me and we’ll sort it. Thank you again for your prayer and financial support.